A Cannot engine discharge 3 J of heat into the low-temperature reservoir for every 2  J of work output. (a) what is the efficiency of this Cannot engine? 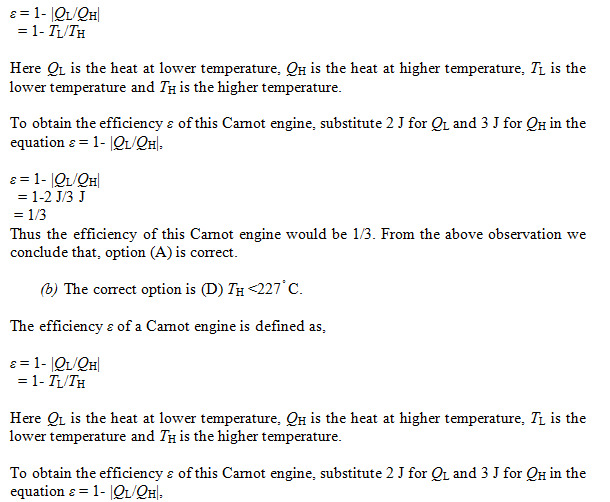 (b) For this engine Tl  = 27ºC. What can be concluded about TH? (a) The correct option is (A) 1/3.